Choice Provisions and Nicalis have finally nailed down a release date for Runner3. The Switch console exclusive won’t be delayed any further, as it’s penciled in for May 22. 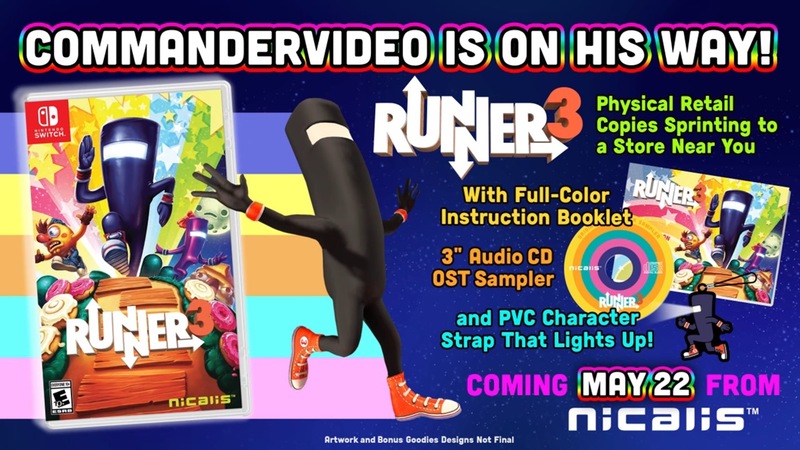 Runner3 will be sold both physically and digitally. If you pick up the digital release, you’ll receive the game on a cartridge, an instruction booklet, CD sampler, and light-up PVC character strap. We have a new trailer for Runner3 below.